Being injured on the job doesn’t have to mean you are out of a job or a place to live. Fight for your right to workers’ compensation benefits with the help of our Los Angeles workers’ compensation attorney. On behalf of Koszdin, Fields, Sherry & Katz posted in Workers Compensation on Saturday, August 04, 2018. Amazon is one of the most successful companies in the world and owner Jeff Bezos is worth more than $150 billion, making him the richest person in the history of the world, according to the Bloomberg Billionaires Index. Despite all of this, employees of Amazon are being left to struggle on their own after suffering injuries on the job in fulfillment centers across the United States. The warehouses operated by Amazon have been named to a list that features the most dangerous places to work in the United States. The list, created by the National Council for Occupational Safety and Health, is known as the dirty dozen. The dirty dozen companies are the most dangerous to work for in the country. Amazon made the list in April 2018. Why did Amazon make the list? 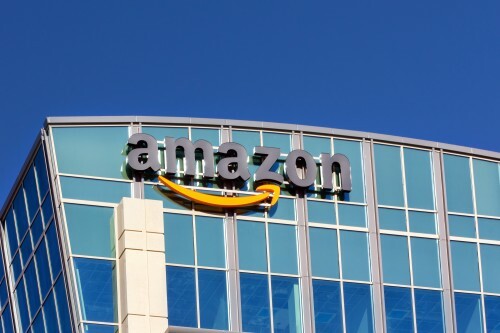 Amazon made an appearance on the list for multiple reports of unsafe working conditions and the company’s primary focus on efficiency and productivity instead of on the safety and wellbeing of the employees. A lawsuit was filed against Amazon in April 2018 by a worker in Florida who was fired after getting injured on the job. Amazon failed to file a workers’ compensation claim after the employee notified supervisors of the injury. The employee was reportedly told by Amazon that he was too young to have back issues and was fired before human resources could authorize a visit to the doctor. A female employee was fired from her job at a fulfillment center in Pennsylvania after falling from a ladder, injuring her back and leg. She fell from the ladder after someone knocked into it while she was on it. Her short-term disability was also cut after just five weeks when she was told she would receive it for 26 weeks. A 49-year-old female employee at the Haslet, Texas fulfillment center injured her back on October 24, 2017. She suffered the injury when she was counting items. The medical triage center at the fulfillment area in Texas provided the employee with a heating pad to use while working. Management would then send the employee home early each day without pay. She went to physical therapy once workers’ comp kicked in and when she returned to work in January 2018 she got injured again on the same workstation. These are just a few of the cases involving Amazon employees who were fired from their jobs due to injuries suffered at the workplace. Other cases involve employees quitting their jobs prior to suffering an injury because they are too tired to keep up with the pace of the fulfillment center. Being injured on the job doesn’t have to mean you are out of a job or a place to live. Fight for your right to workers’ compensation benefits with the help of our Los Angeles workers’ compensation attorney. Contact the firm at 818-812-5639 to schedule a consultation.